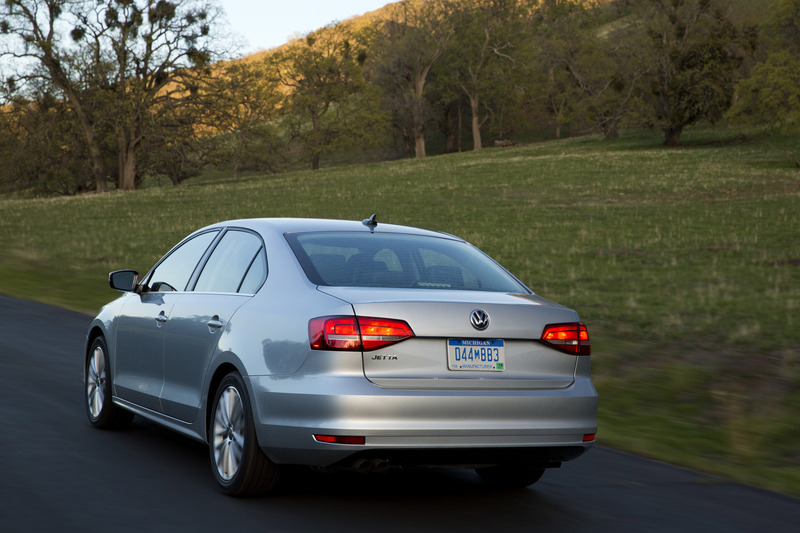 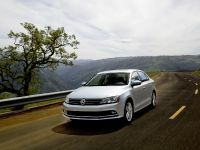 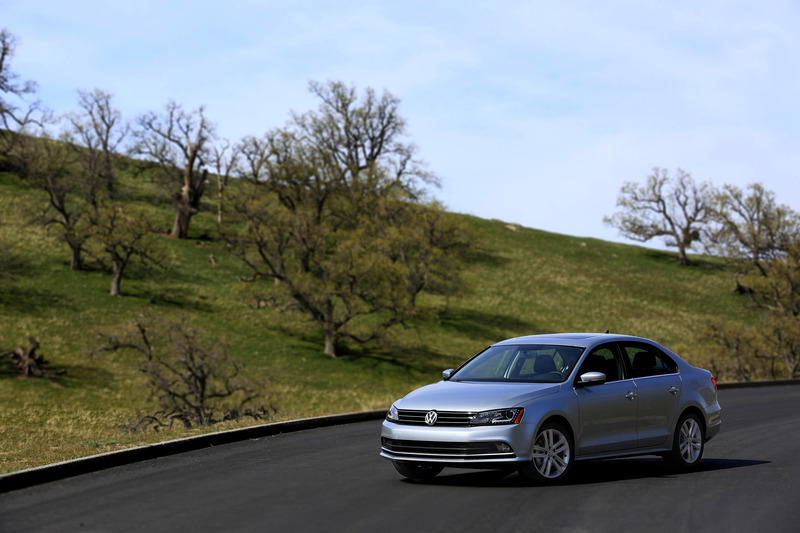 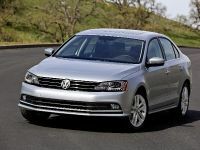 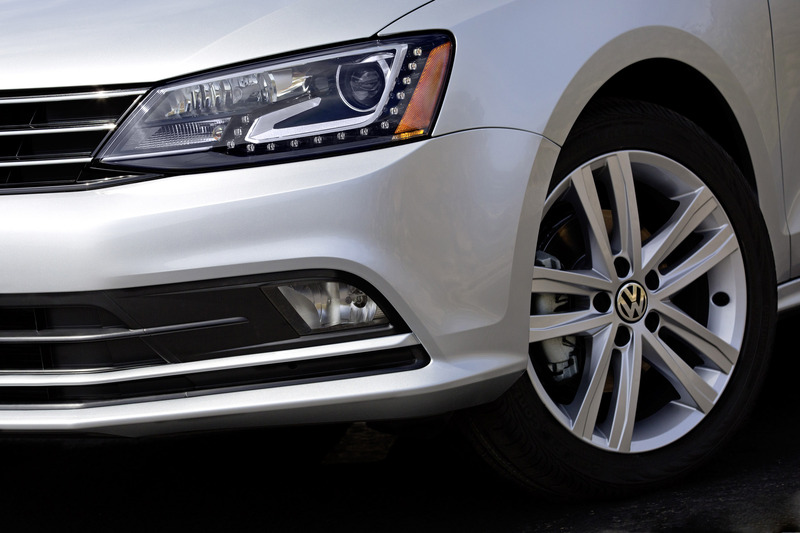 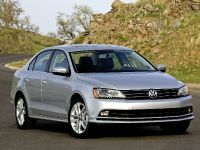 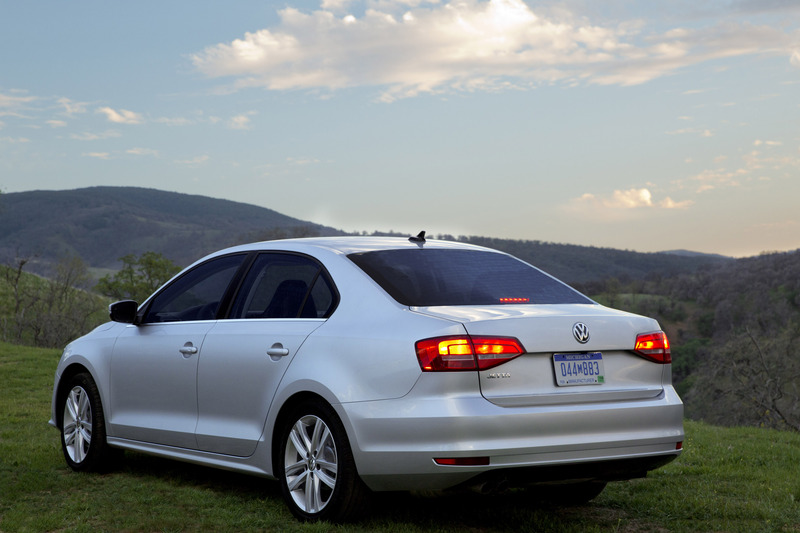 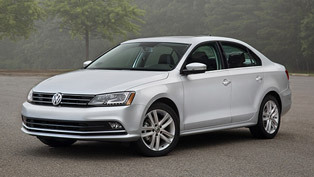 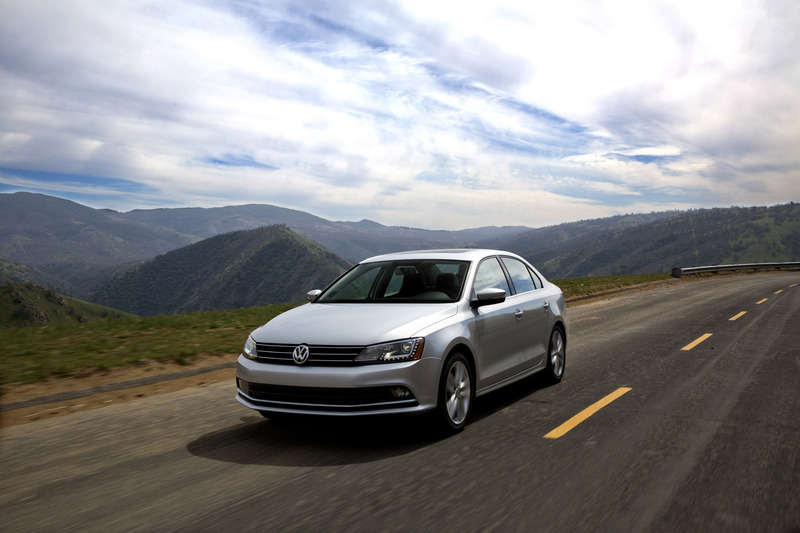 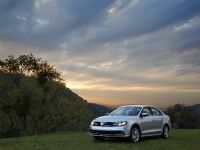 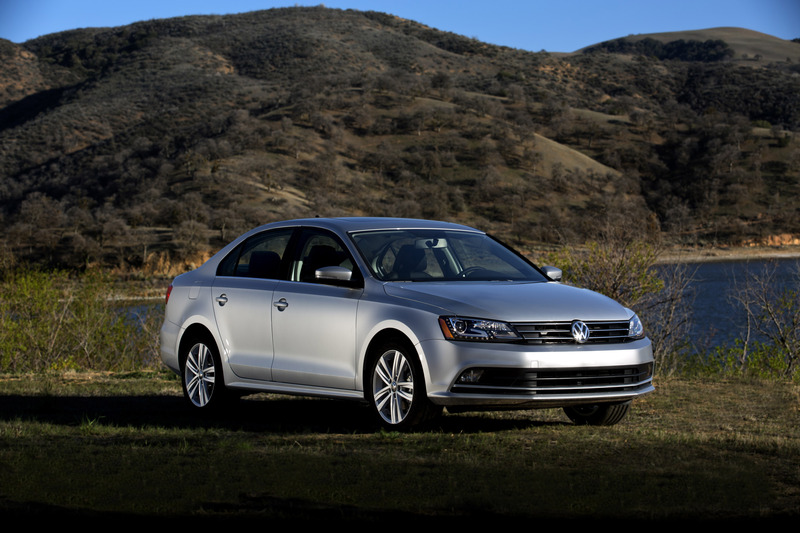 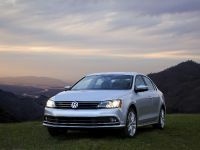 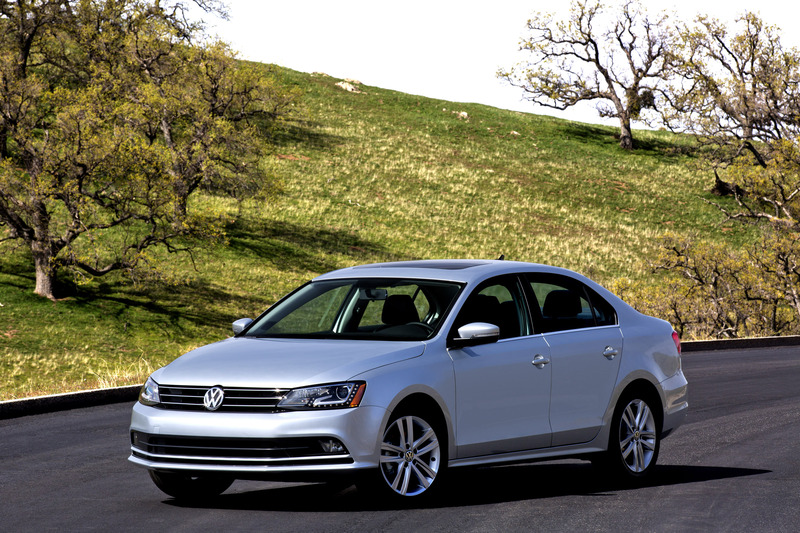 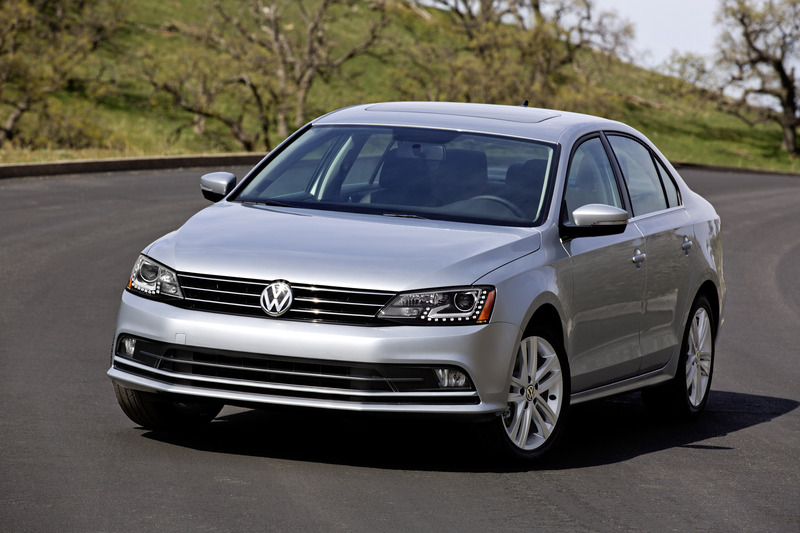 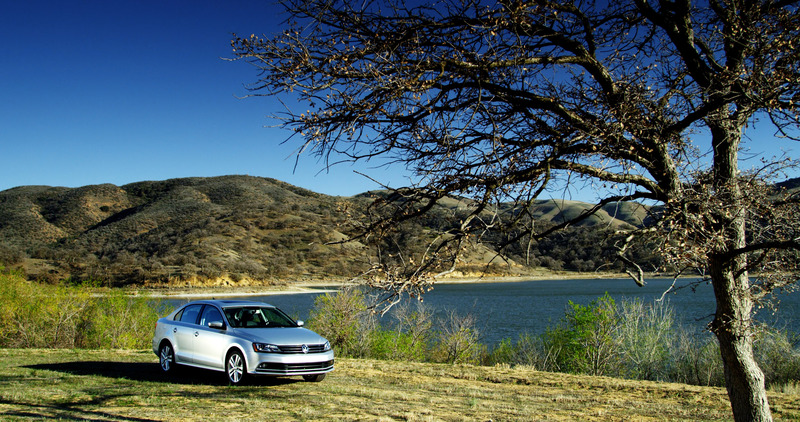 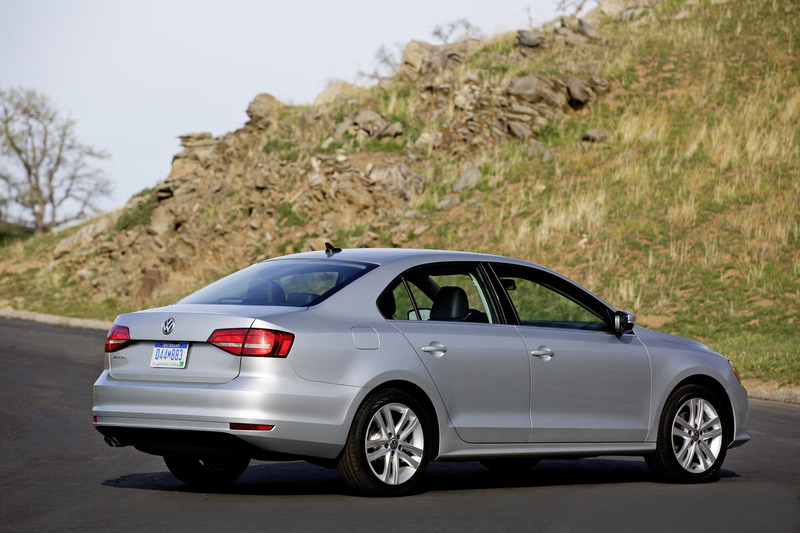 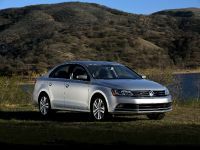 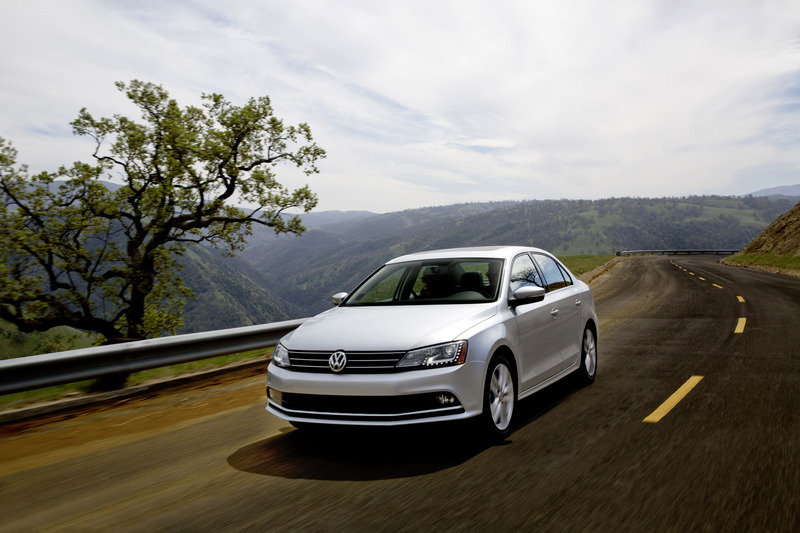 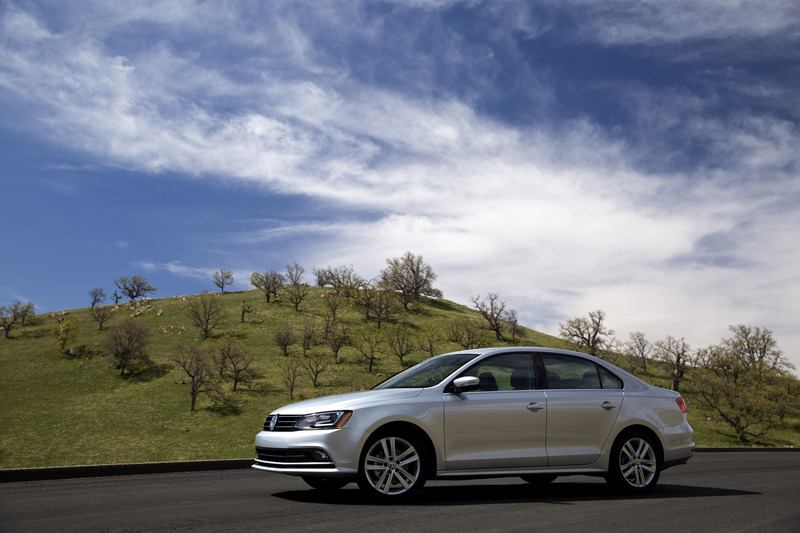 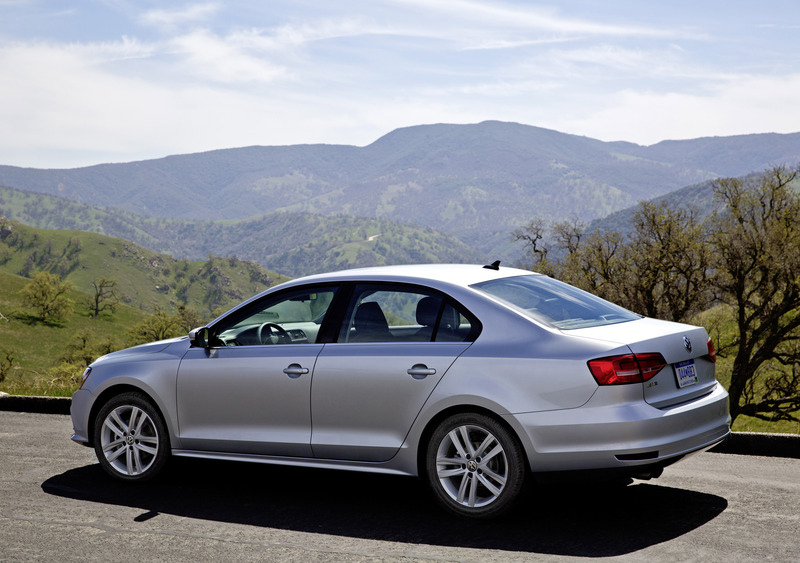 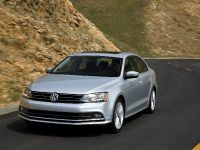 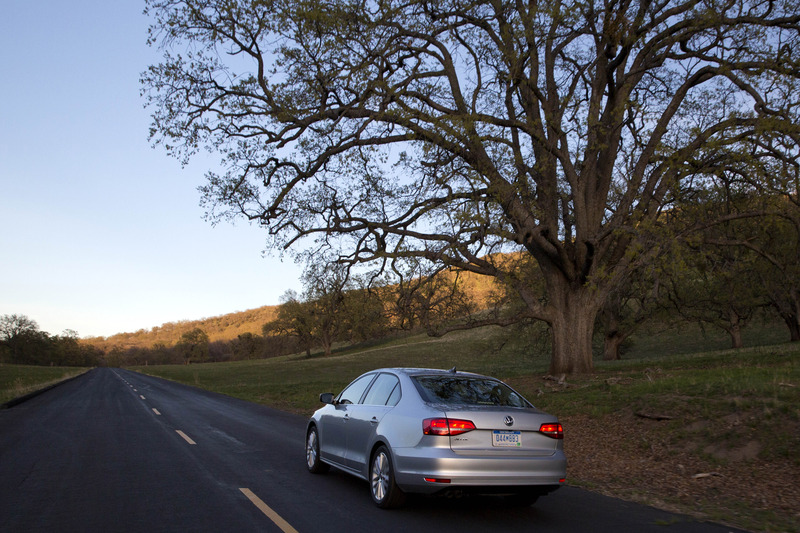 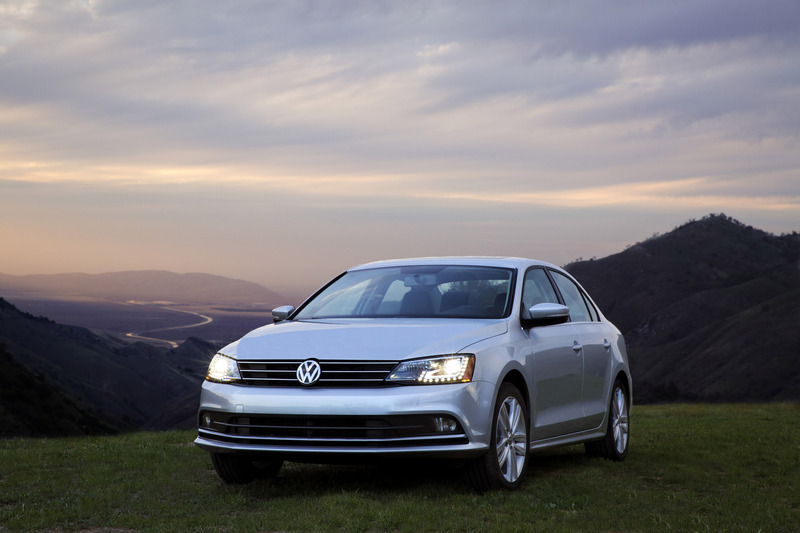 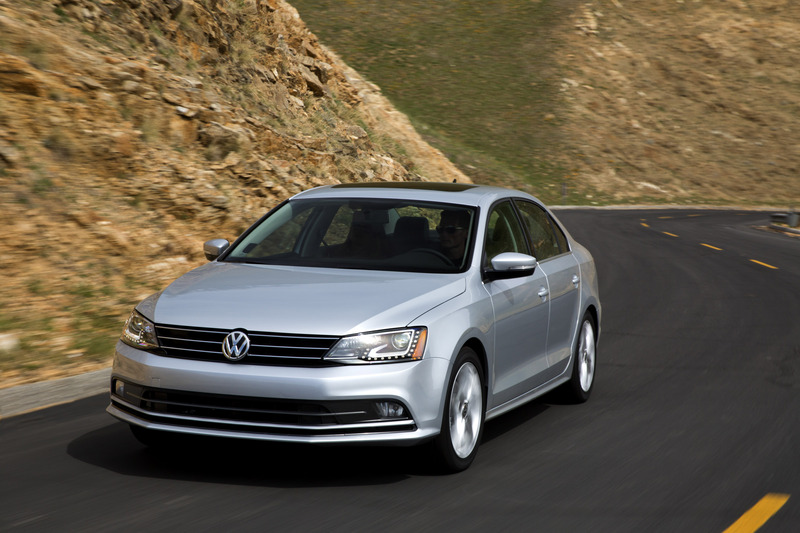 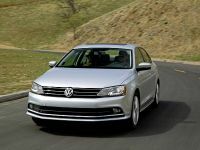 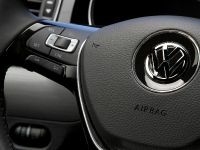 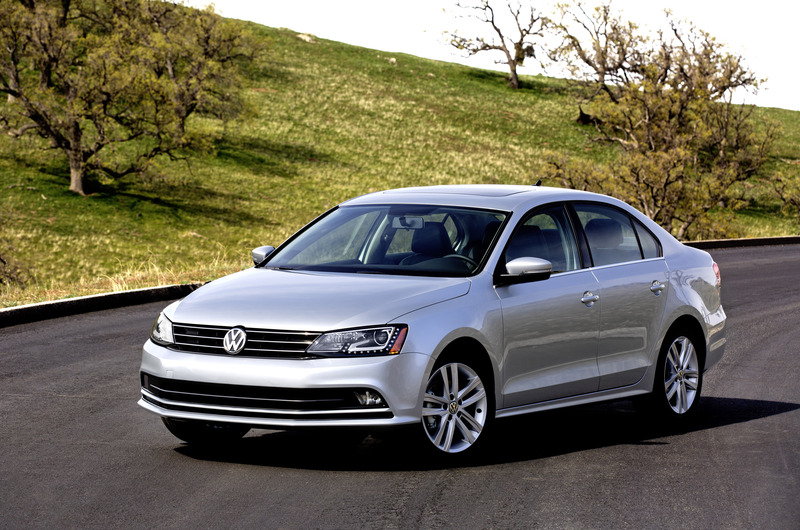 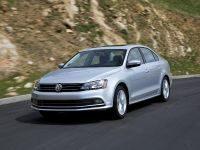 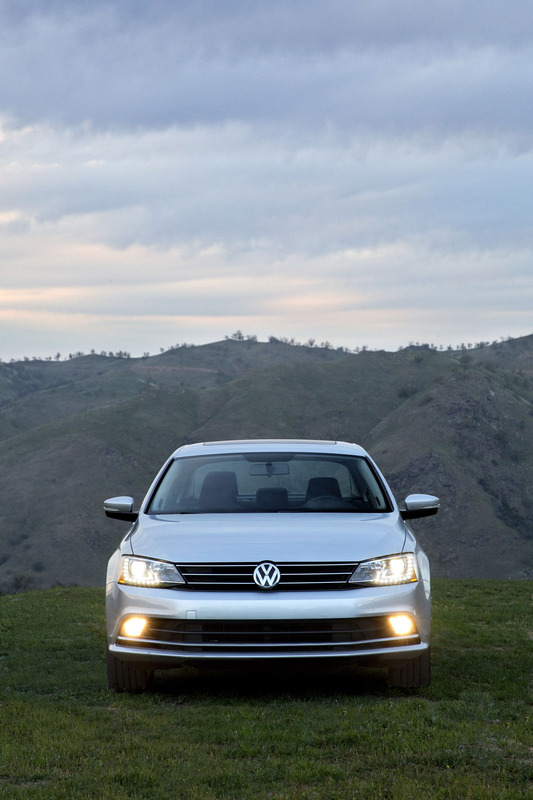 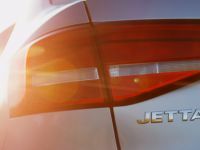 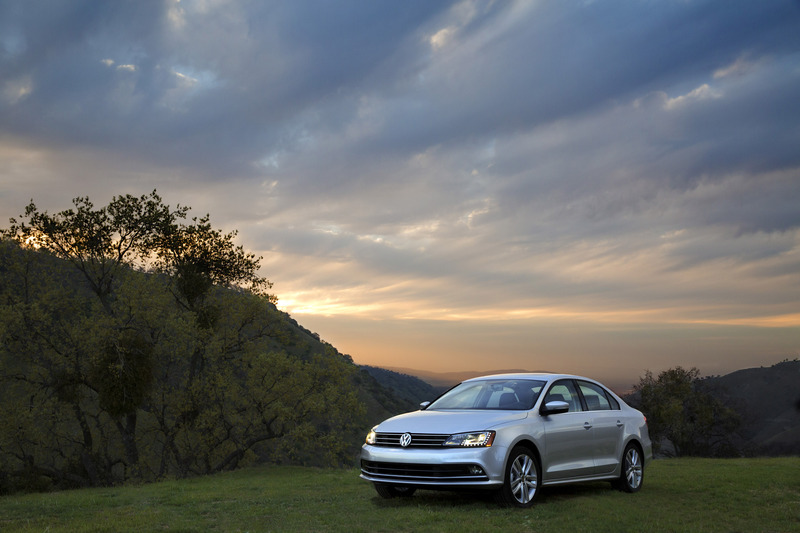 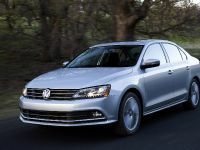 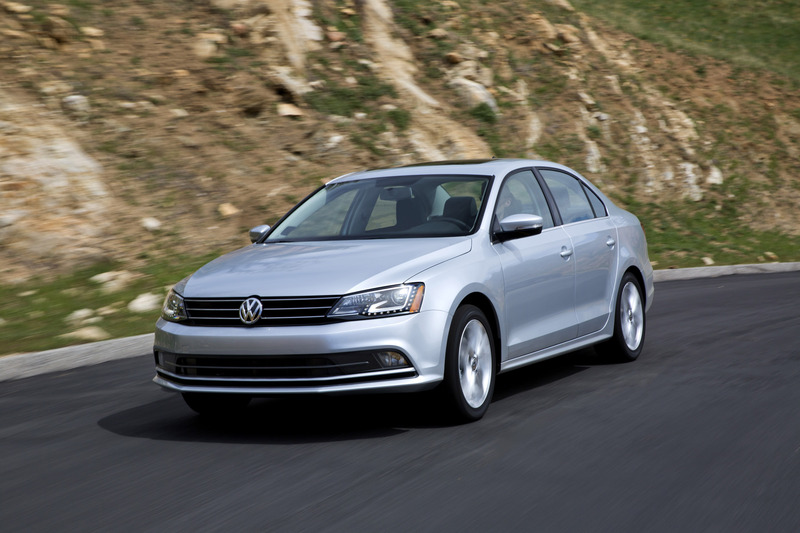 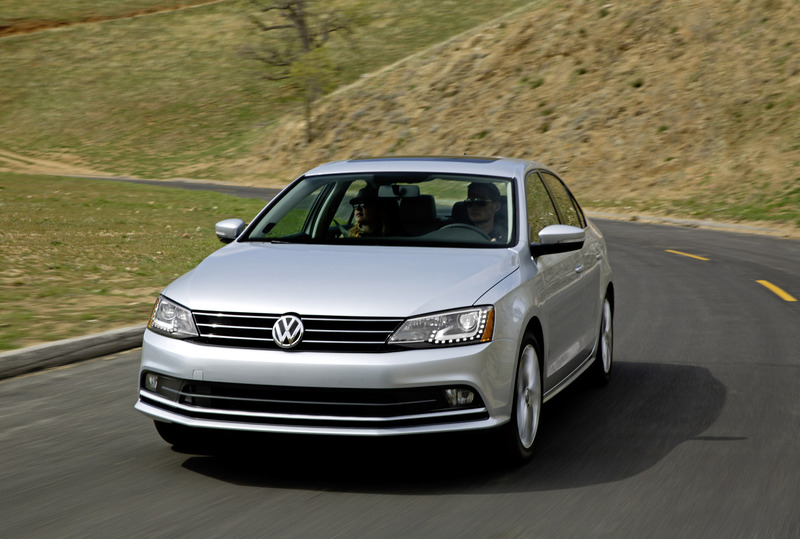 Volkswagen US has unveiled the 2015 Jetta Facelift, which will make its official debut at the 2014 New York Auto Show. 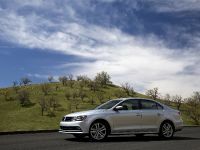 The new Jetta Sedan comes with a lot of styling changes for the exterior and the interior. 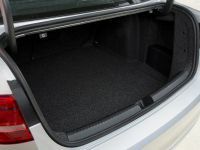 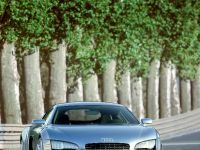 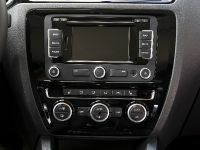 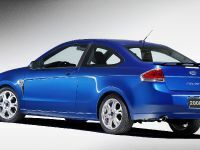 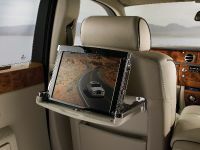 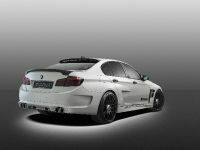 The engine range is also updated as well as the optional equipment. 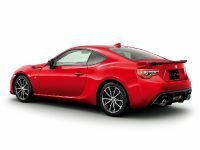 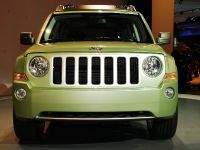 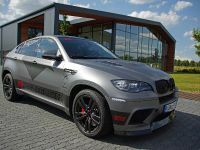 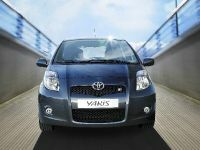 The exterior boasts new optional bi-xenon headlights featuring LED DRLs (daytime running lights). 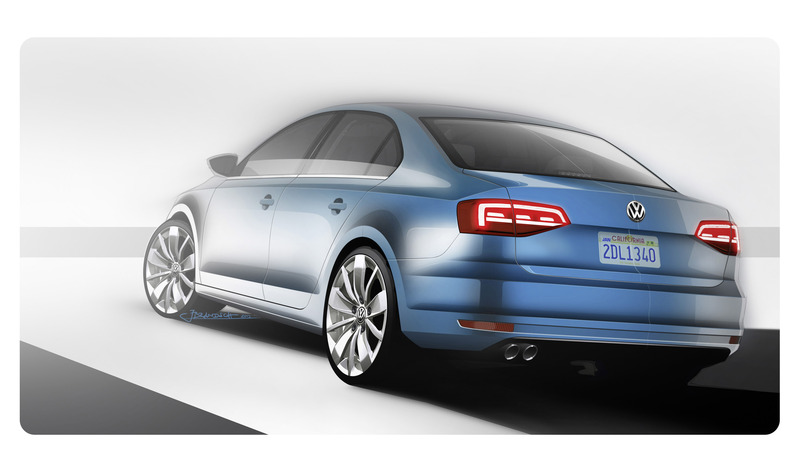 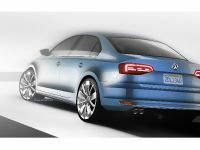 There is also a new trunk lid with a ducktail spoiler along with LED taillights for the GLI and Hybrid models. 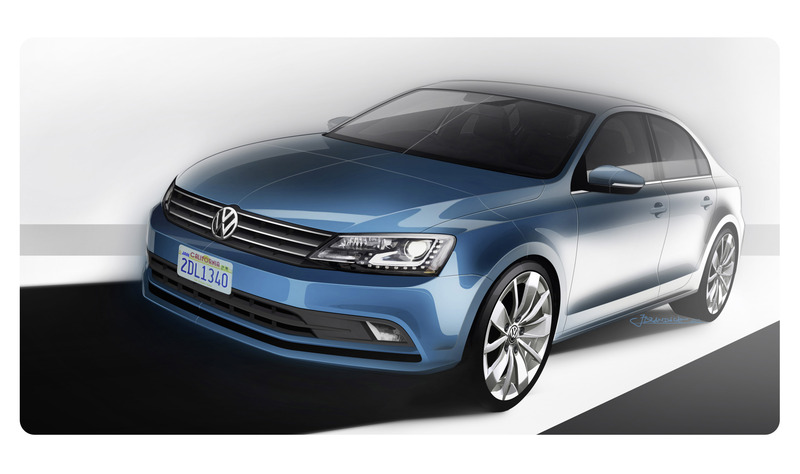 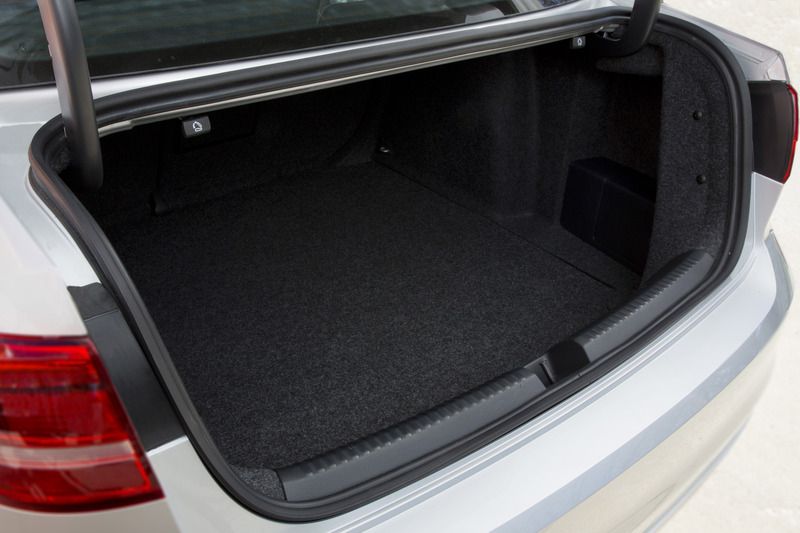 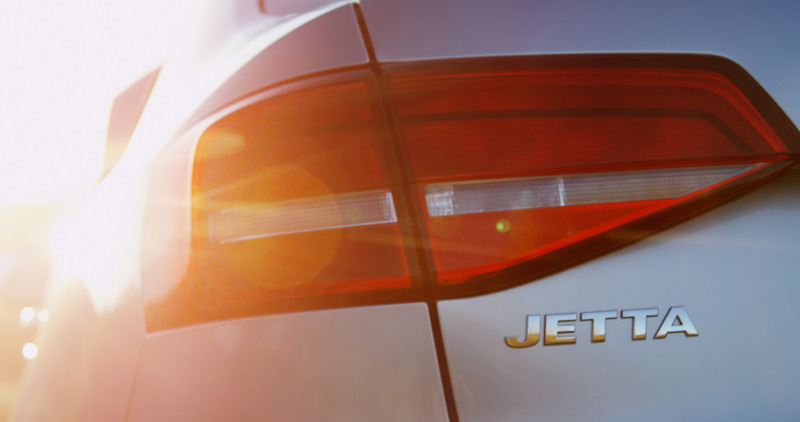 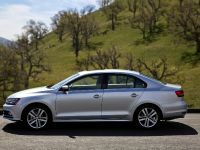 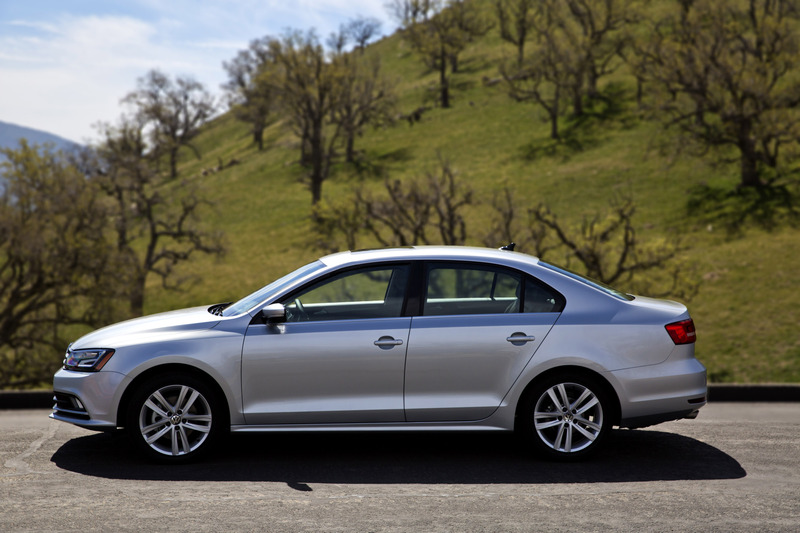 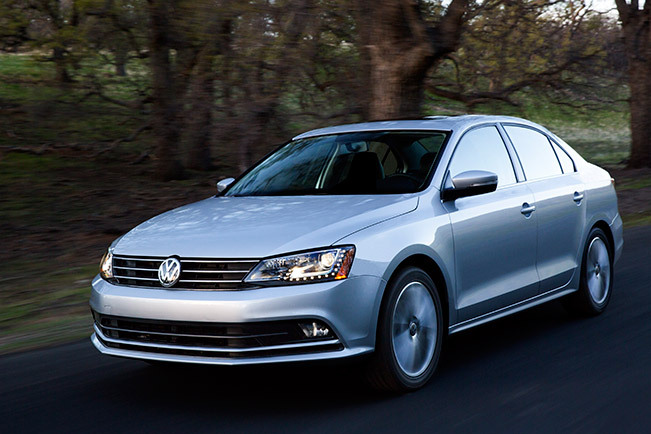 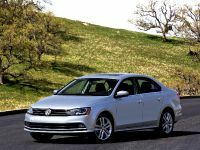 2015 Volkswagen Jetta also has slightly reworked body in order to be more aerodynamic. 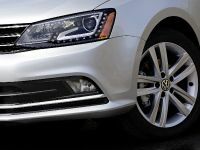 There are new underbody panels and modified rain gutters near the A-pillars. 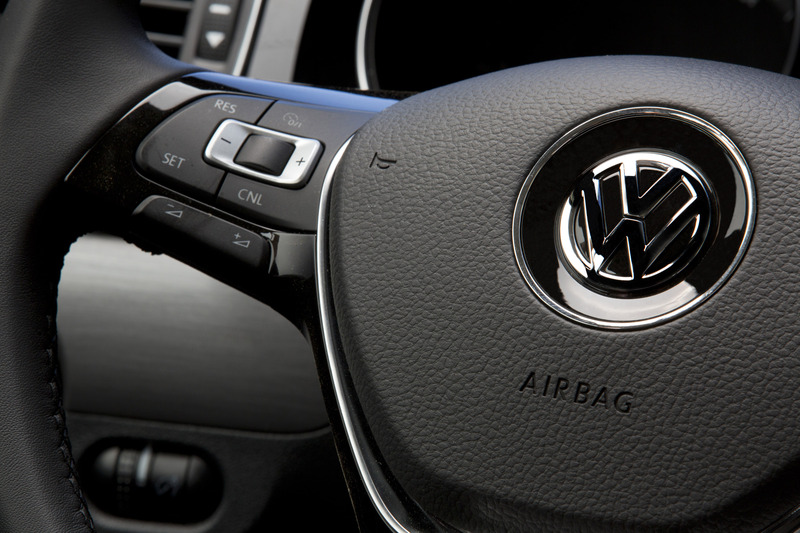 The interior features new chrome elements for the dash and gauges as well as a new multi-function steering wheel. 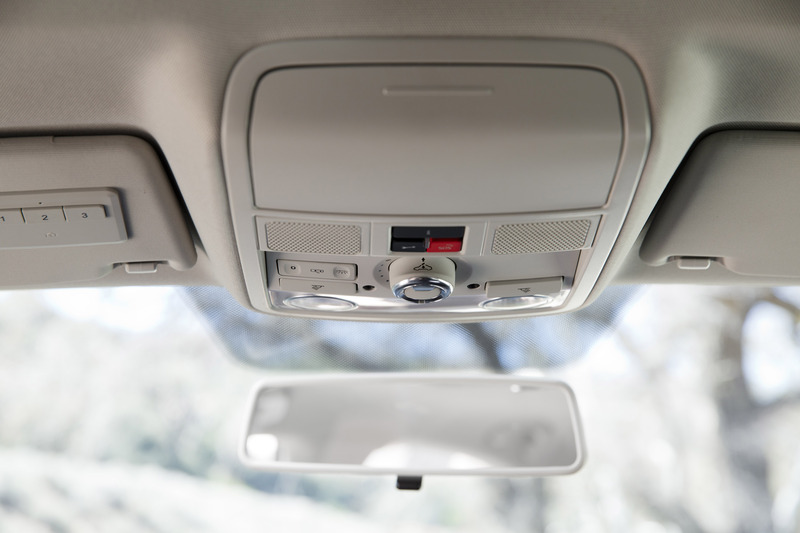 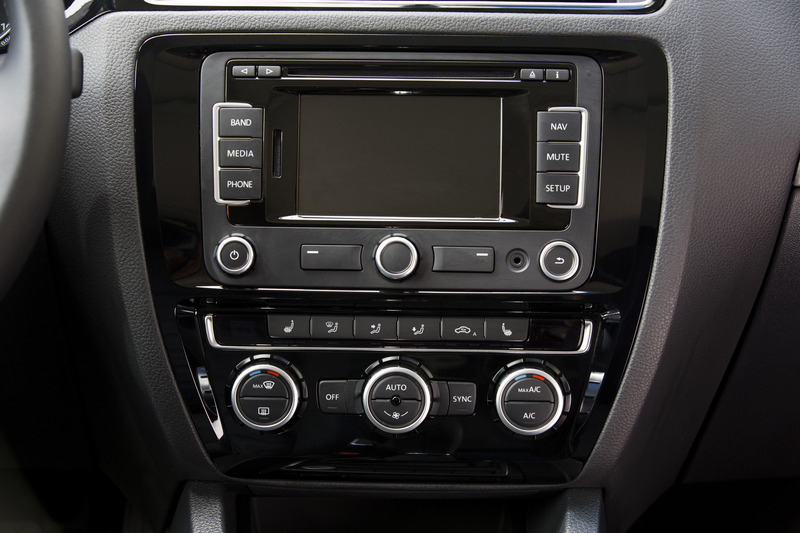 The air conditioning controls are also new and last, but not least there are some black accents. 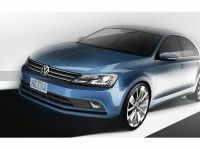 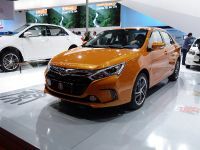 The manufacturer is also introducing new seat fabric colors and designs and ambient lightning. 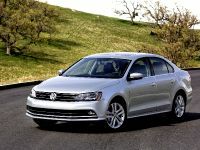 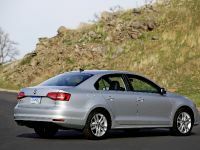 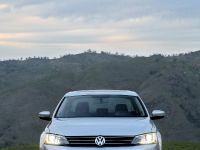 2015 Volkswagen Jetta Facelift still rides on the PQ35 platform (Golf V), but the engine line-up now features a four-cylinder 2.0 liter TDI with 150HP (112 kW), which 10HP more. 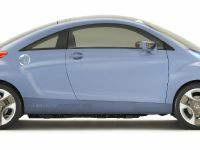 It will return 32 mpg US in city, 45 mpg US on the highway and 37 mpg US on combined cycle. 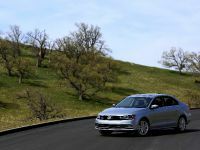 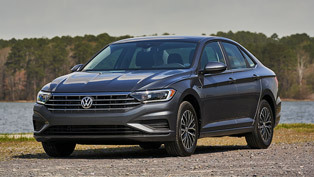 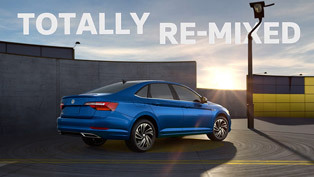 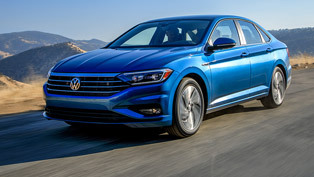 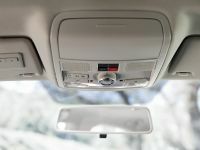 Lastly, the new Jetta can be ordered with a wide range of safety assistance systems including blind spot detection, frontal collision warning and rear cross-traffic alert. 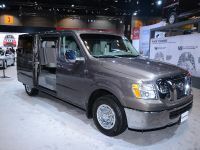 Pricing will be announced in the beginning of the summer.